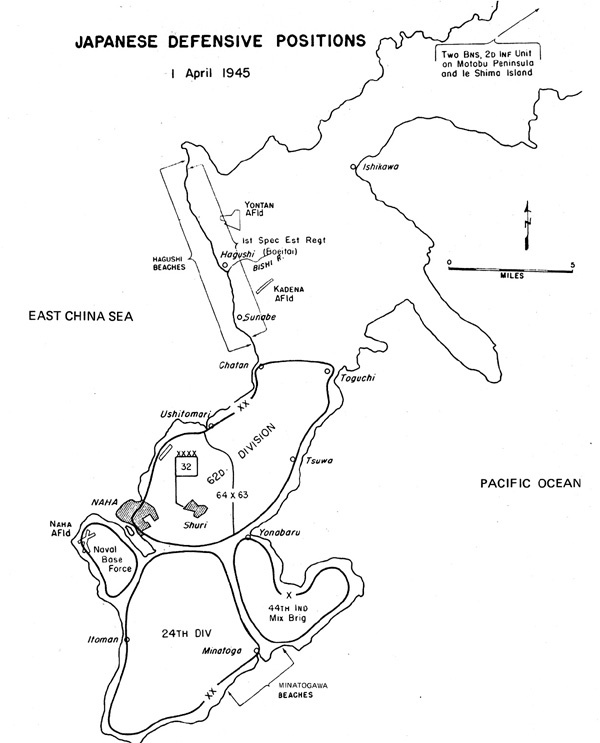 The USS Hadley arrived at Okinawa on invasion day, 1 April 1945. 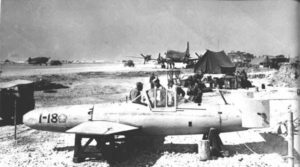 The Hadley crew was on the lookout for Japanese submarines, mines, and aircraft 24 hours a day. 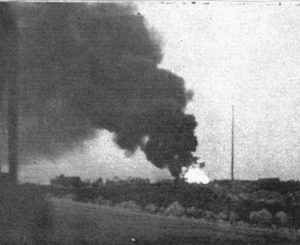 The most dangerous duty was on the Radar Picket Line when stationed 50 miles out from Okinawa. 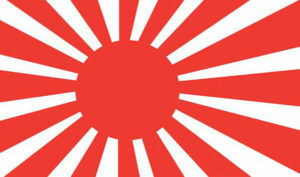 Their early warning radar made the ship a target of kamikazes on 11 May. They shot down 23 planes, an all time Navy record for a single engagement. 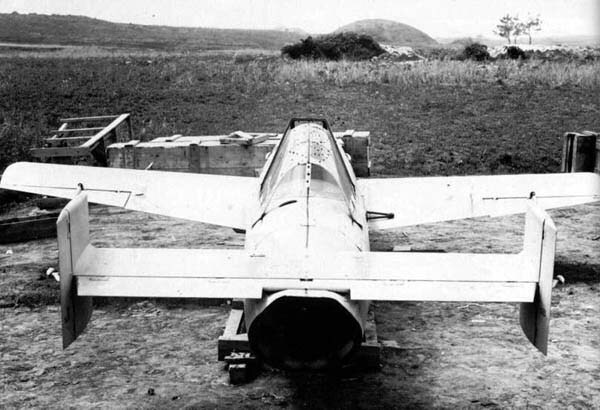 The Zeke fighter was used for conventional and kamikaze attacks. 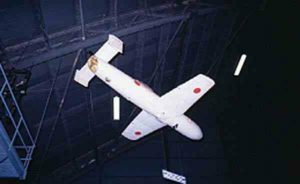 The Betty bomber was used for dropping large payloads of bombs and to launch the feared Ohka manned rockets. 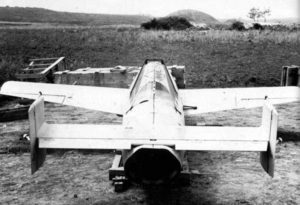 The Ohka was manned rocket code named Baka Bomb, which translates to idiot bomb. A Baka displayed at a museum. 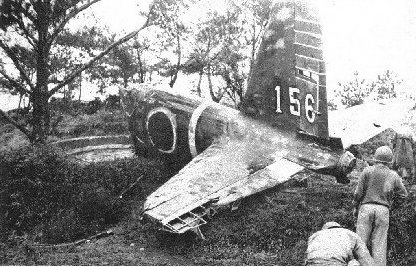 Note: there are no wheels for landing or take off. 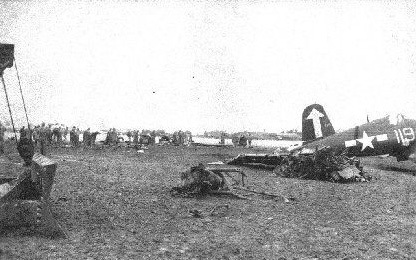 Once launched by a Betty bomber the pilot could only crash into a target. 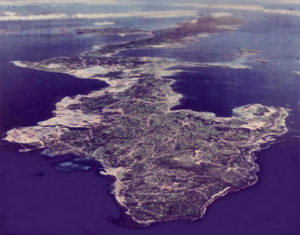 Yontan airfield is located in the middle of Okinawas. 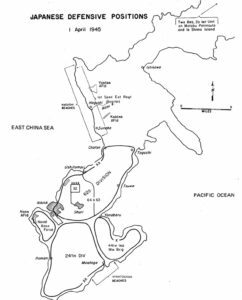 It was captured on the first day of the invasion and became a base for Marine Corsairs. 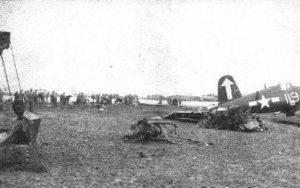 Damaged planes at Yontan airfield. Jap plane shot down at Yontan. 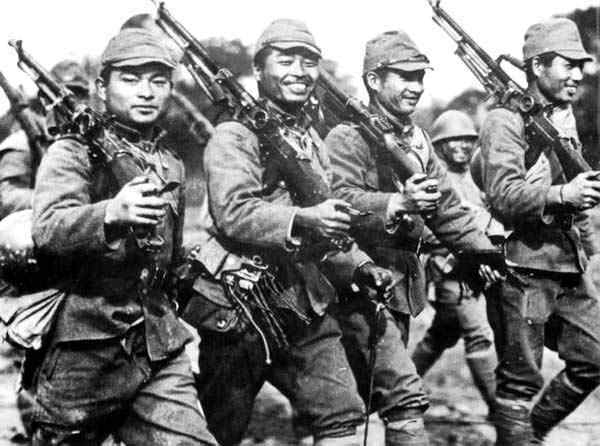 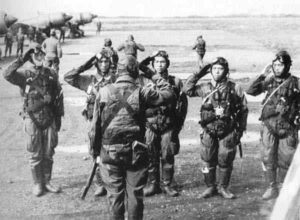 Jap piolots preparing for a mission. 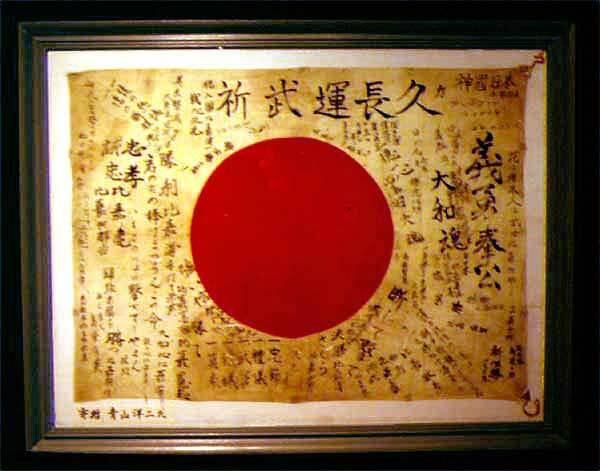 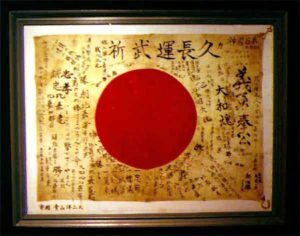 Captured battle flag that was signed by men in the Japanese unit.